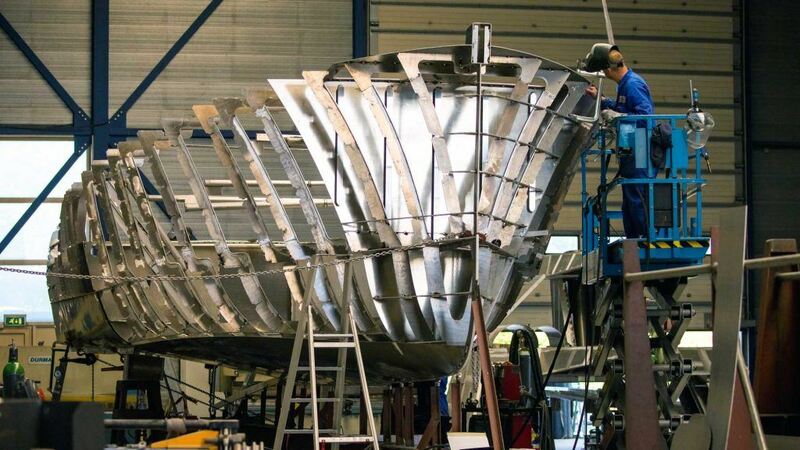 Mulder Shipyard builds its own Mulder Series yachts, for example the Favorite (1500 & 1700), Wheelhouse and ThirtySix. 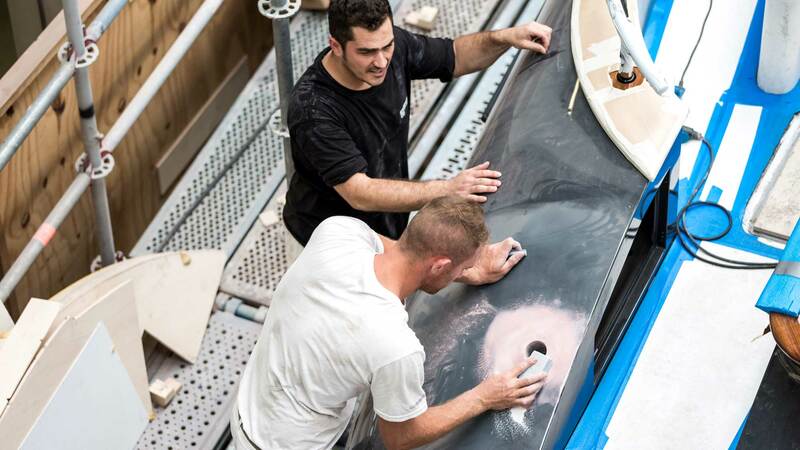 Every yacht we build is a semi-custom project specially tailored to its owners desires. 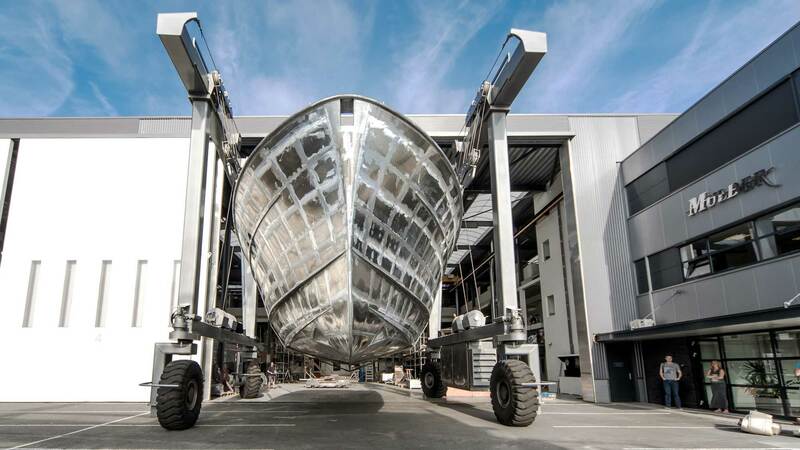 In addition to the Mulder series, we also build fully customized yachts. 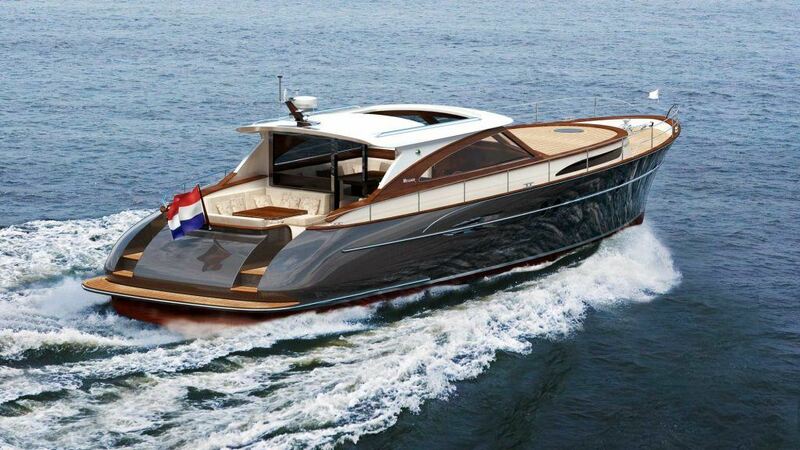 Take for example the M/Y Solis, this was a custom build Mulder yacht. 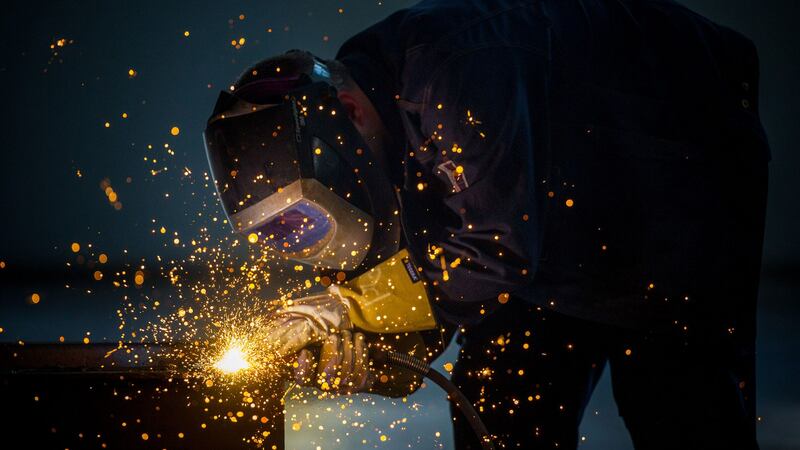 In general we start the building process with the vision of the owner. Where will the yacht be used, in which region and which seas. How many cabins are needed to accommodate the right amount of people on the owners average boat trip. After the vision is cleared we can advice the right Mulder yacht and determine the yachts general arrangement. After a number of preliminary stages, the construction process really starts now. 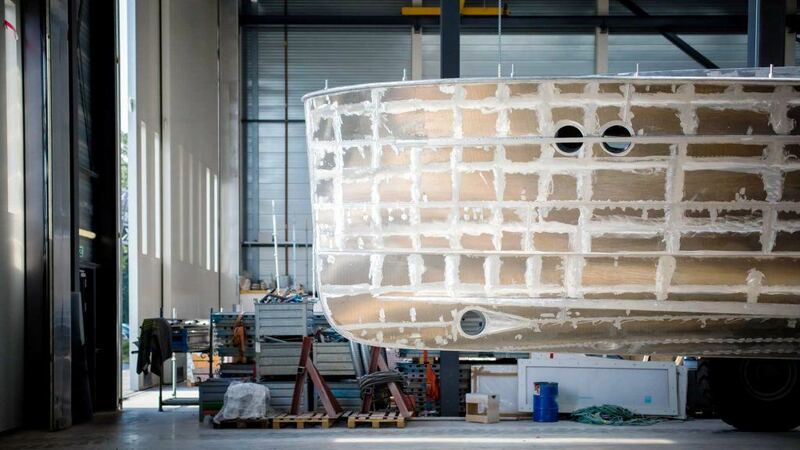 In cooperation with the partnering naval architect we let build the, mostly aluminium, casco. 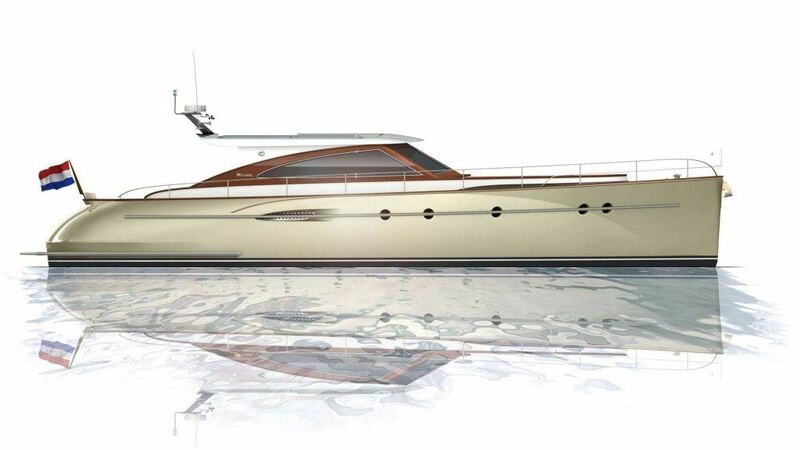 Even for the Mulder series yachts the casco can been tailored to the new owner. For example, the hatch can be changed so the swimming platform opens with the hatch so a tender can easily be loaded into the tender bay if needed. The arrangement of the aft deck can be changed, do you wish couches all around or do you want a outdoor kitchen. In the meantime while the casco is in the build we start the process for the interior manufacturing. 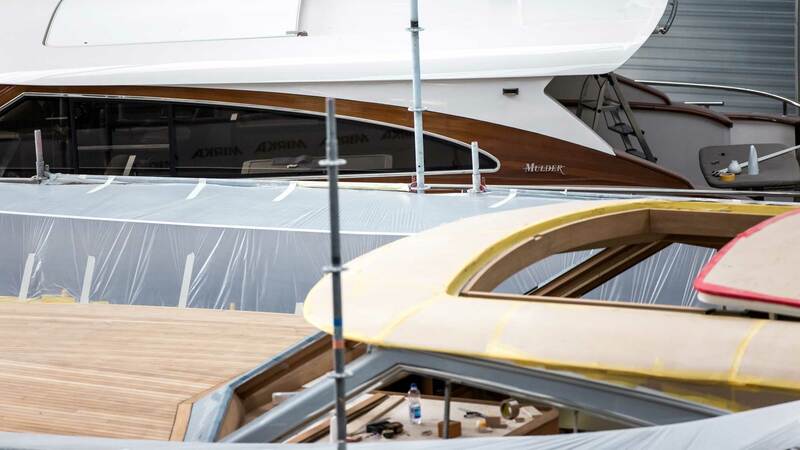 Everything on the inside of the yacht is built by hand. 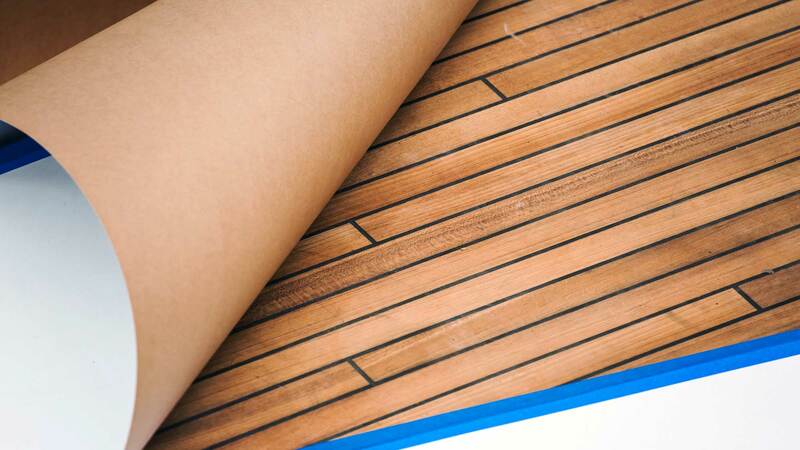 The decision need to be made about the type of wood we use. 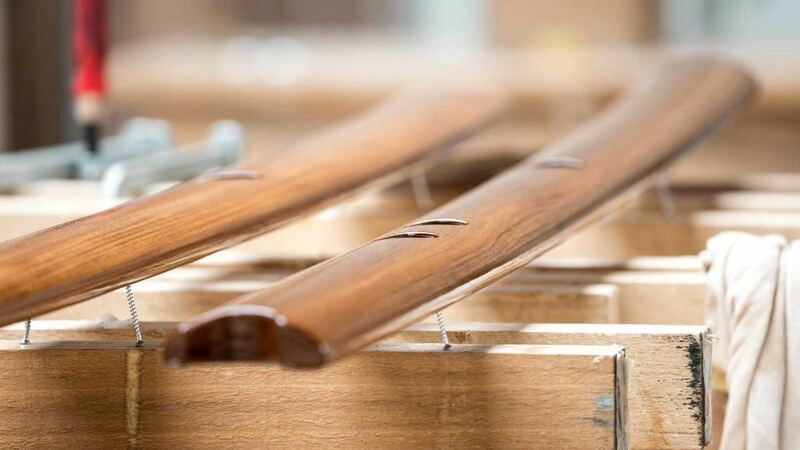 Teak or walnut are much chosen wood types. Regardless of the casco is the layout of the cabins flexible. 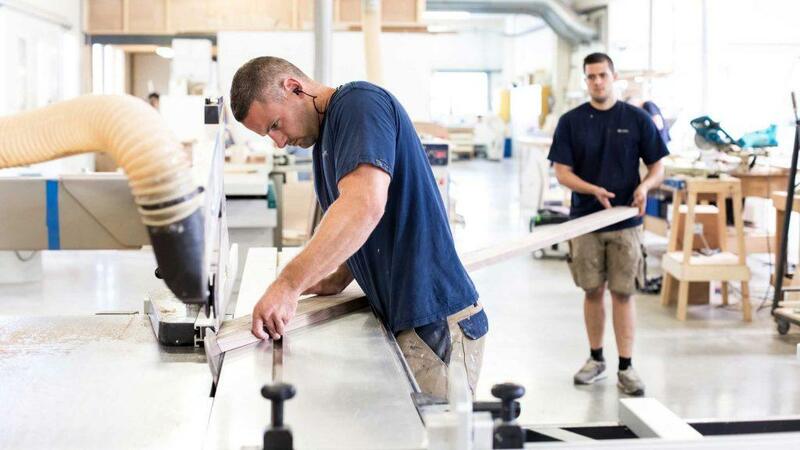 After the layout is determined and all dimensions are known we start with the prefabrication of the interior furniture, floors and ceilings. We handle your personal data carefully. View our privacy statement.